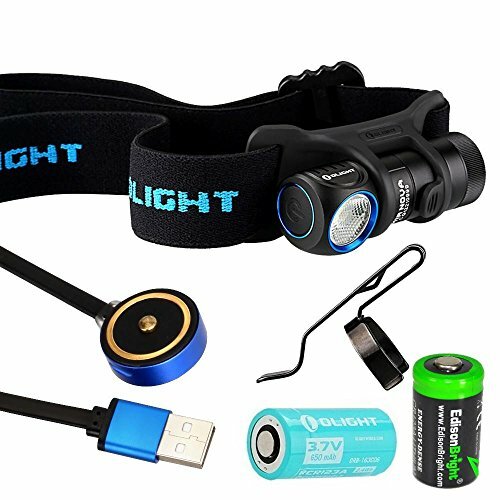 Bright and versatile Olight H1R Novarechargeable headlamp/clip=on lamp/magnetice base work light. - Cool White (5000K-8300K): Provides a cleaner, clearer picture compared to incandescent light. Extremely common amongst LED lights. - Neutral White (3750K-5000K): Smooth, less abrasive light closer to the color of natural daylight, making it better for photography or use in natural environments. Turbo - 600 Lumens → 180 Lumens - 3 Minutes → 1 Hour 20 Min. High - 180 Lumens - 1 Hour 40 Min.